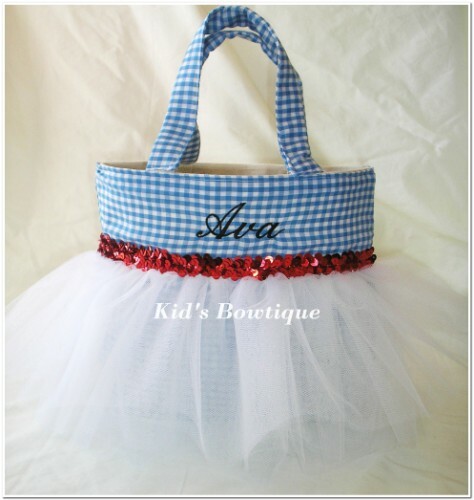 Perfect as a trick or treat bag for your Dorothy Wizard of Oz Halloween costume! Looks great in photo shoots, carried as a purse, small book bag, etc. Bag is approx. 10.5 X 8.5 X 2. Our unique tutu bag has a tulle tutu skirt for uniqueness, red sequins trim for dazzle, and embroidery for personalization!